All the childcare manuals and classes in the world won’t prepare you for the joy and worry of the first night home with a new baby. You realize then that you’re on your own, and that can be an overwhelming feeling, particularly when it comes to worrying about your infant’s breathing. 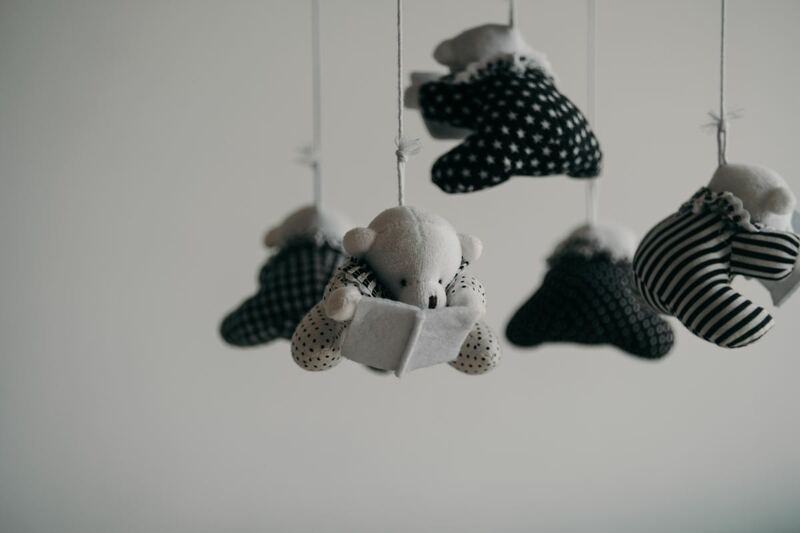 All babies make odd noises while breathing—snuffles and whistles and what sounds like irregular intake of breath—but usually these noises don't indicate anything abnormal. There are some signs to watch and listen for, though, that may indicate breathing problems in infants. Fast and labored breathing may be caused by pneumonia: that is, by fluid buildup in the very smallest airways due to infection. This is a very serious condition. Rapid breathing (over 60 breaths per minute for more than a minute or two) requires medical attention. 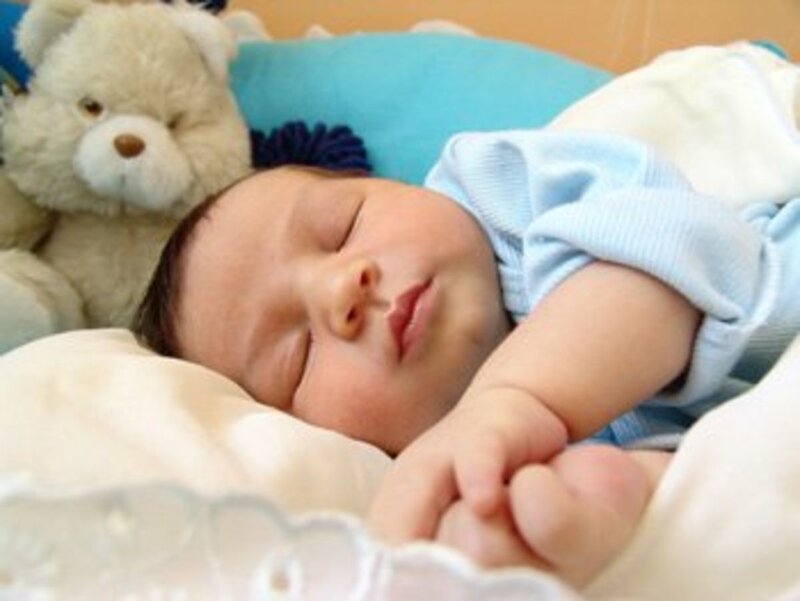 Note that it's normal for babies to have "period breathing": periods of rapid breathing, with pauses of up to 10 seconds, and slow breathing (20 to 40 times per minute) when sleeping. Overheated or agitated babies may breathe quite rapidly for a minute or two, then slow down when they are cooler and calmer. 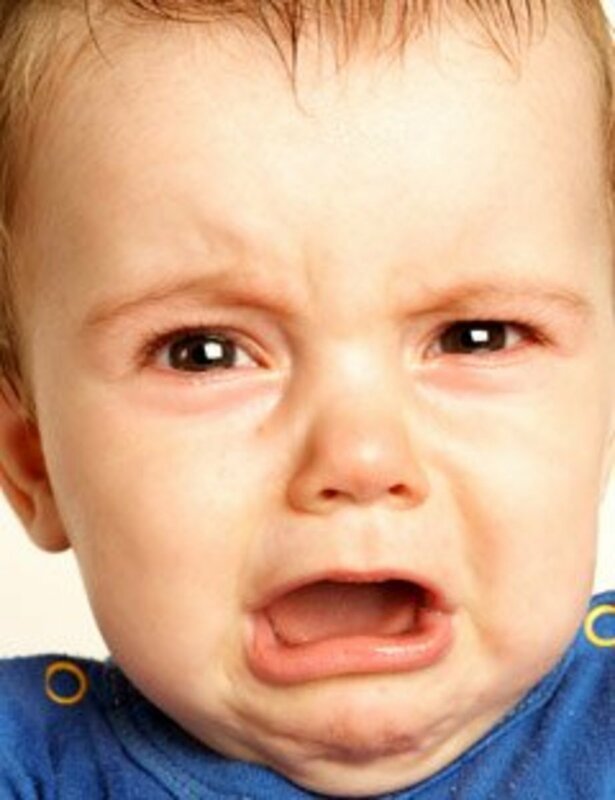 Babies who cannot get enough air may flare their nostrils at each breath, or show signs of "retracting"—pulling in their chests with each breath, or pulling in the skin around the breastbone or collarbone, while pushing out their bellies. These behaviors require medical attention. 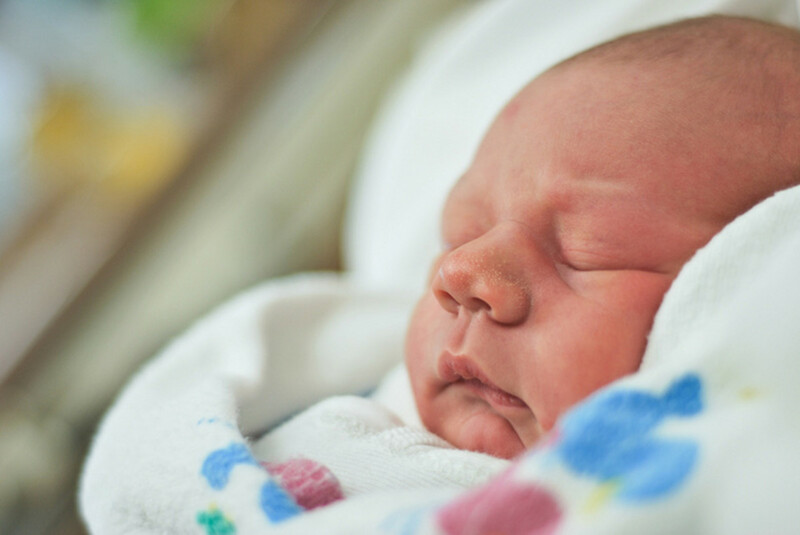 While it's not unusual for a baby's thin skin to look bluish around the hands and feet, a baby with bluish skin around the mouth, nose, or trunk may not be getting enough oxygen. This condition requires medical attention. A grunt with each exhaled breath may indicate difficulty breathing. Crackling sounds in the lungs, heard through a stethoscope, are a sign of pneumonia. Fever, listlessness, or lethargy combined with the above are reasons for greater concern. Babies often choke or cough while feeding, when they take in too much milk at one time, and this is not a problem. But if your baby coughs or chokes persistently, he may have a breathing problem unrelated to feeding. A whistling noise most likely means the nostrils are clogged with mucus or dried milk. Since babies don't know how to blow their noses, they often struggle with stopped-up noses. The blockage can be suctioned out with a bulb syringe if you like. 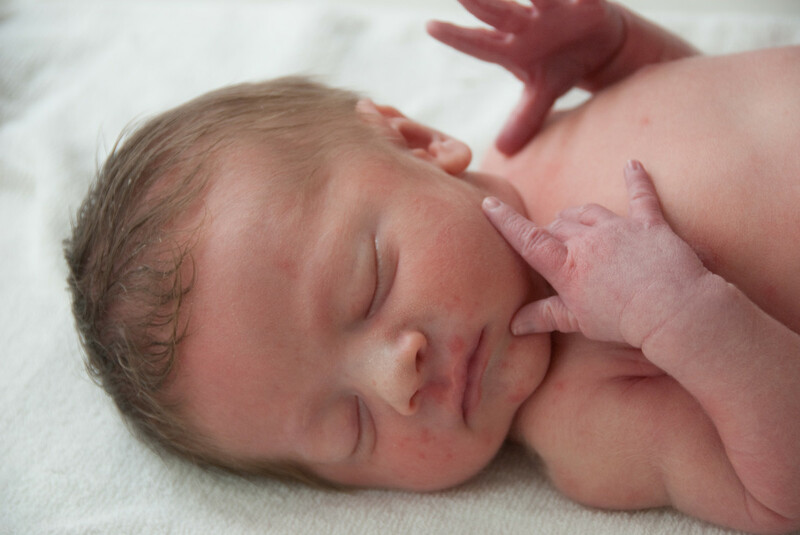 Infants’ trachea tissues are soft and pliable and can make a raspy sound when air moves through them. This sound is rarely due to a blockage and doesn’t indicate significant breathing trouble. A deep cough, however, may be caused by a blockage in the large bronchi which lead to the lungs. Wheezing on inhaling and exhaling may indicate a blockage in the small airways of the lungs. Asthma is a possibility. A cough that sounds like a bark, due to mucus in the windpipe, is a sign of croup, a common but potentially worrisome upper respiratory virus of small children. You should ask your pediatrician for advice. Of course, any time you start focusing on your infant's breathing, you are likely to wonder if you should worry. Babies breathe differently than adults do, and the sounds they make and pauses they take while breathing can be alarming. Watch your baby and trust your instincts. If you have concerns that your infant is having trouble breathing, consult your pediatrician right away. If you aren't satisfied with his or her explanation, keep asking. My great grandson, has developed a type of noise when he crawls, faster he crawls the noise comes. Its just a small noise, more like a squeek Seems to happen only when he crawling. I am making the parents take him into the ER tomorrow, no temp , no vomiting, eating very well. Only thing I think is he has gotten something in his nose, or throat, vocal cords or some where. What do you think, not having a real breathing problem.???? My son is 16 months old, at 3 months he was diagnosed with lcapa congenital heart disease. About 3 weeks ago his older brother came home sick with a flu and passed it on to him, now he coughs all night long and has puking episodes,I've been to the children's hospital, pediatric clinic and our family GP. The hospital has diagnosed him with bronchitis and asthma, gave us a puffer and sent us on our way,that was about a week ago. Since then he has not gotten better and I'm finding it hard to believe in these Dr.'s, when he breathes in his ribs retract and the puffer doesn't seem to be helping, what should I do?any suggestions for a mama on the edge? My son was in and out of the hospital for breathing problems was then diagnosed with boncholitis on March 2, and passed away March 10. resons are still unknown. He was only 7 months old. If anyone can answer this? Is it possible for an infant to break its own ribs , if the baby has a sever breathing problem? My newborn son did something similar, he was struggling very hard to breath at only 5 days old. It scared me to death. The nurse said to use saline and suction, and I got tons of goop out of his nose and then he was breathing better. But it was awful. I don't know why babies won't breath through their mouths if their nose is clogged! My daughter is 6 weeks old and has done the exact same thing I was able to resolve the issue on my own by using a bulb syringe and my finger to dig her airway clean of muscus.I have carried her to doc and they tell me its normal and they see nothing wrong i wish i could get answer as well it is very scary and do not know what to do. could anyone give me anymore details on what happened to our 1 week old baby daughter. she is two years old now thankfully however this bothers me greatly that what happened to her hasn't got a name. basically my husband found her struggling to breathe, arched back, eyes bulging and streaming. got her to a doctor who was really worried, ambulance was called meanwhile doctor had to insert a tube into both her nostrils and clear her airways from muscus. her breathing rate improved slowly after this and was took to hospital, she had xrays and blood tests and was given the all clear however we were told by the doctor our daughter was very lucky to have survived. is there a name for this freak incident that nearly cost us our daughters life?